While some have described the CFPB as in a state of “radio silence” since late November, others said the agency’s attorneys have perked back up and are pushing forward with investigations begun before Mick Mulvaney took control. Mick Mulvaney, Director of the Office of Management and Budget (OMB), testifies before the Senate Budget Committee regarding the Trump Administration’s Fiscal Year 2019 proposed budget, on February 13, 2018. 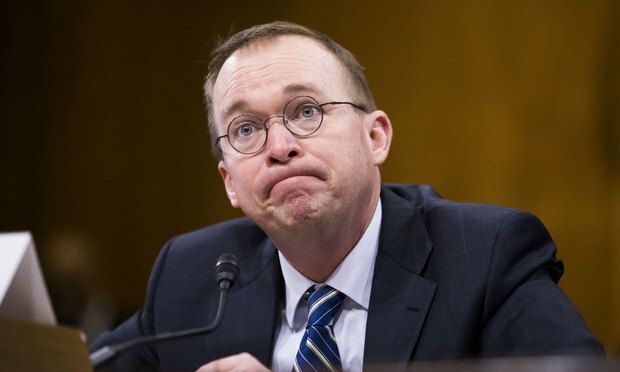 On his first day in his side job as the Consumer Financial Protection Bureau’s interim leader, White House budget director Mick Mulvaney spoke into a cluster of microphones to spread the word that, no, he would not be shutting down the agency.